Physician, historian, author. Originated syndicated health column. Chicago health commissioner. Pioneered in pure water and milk laws. 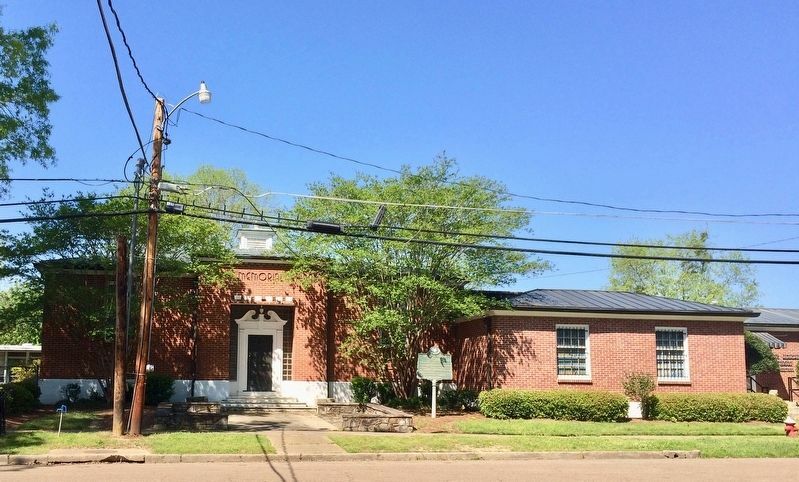 Founded Evans Memorial library. Erected 1958 by Mississippi Historical Commission. Location. 33° 49.574′ N, 88° 32.923′ W. Marker is in Aberdeen, Mississippi, in Monroe County. Marker is at the intersection of Long Street and College Place, on the right when traveling south on Long Street. Touch for map. Located at the Evans Memorial Library. Long Street is one-way running south. 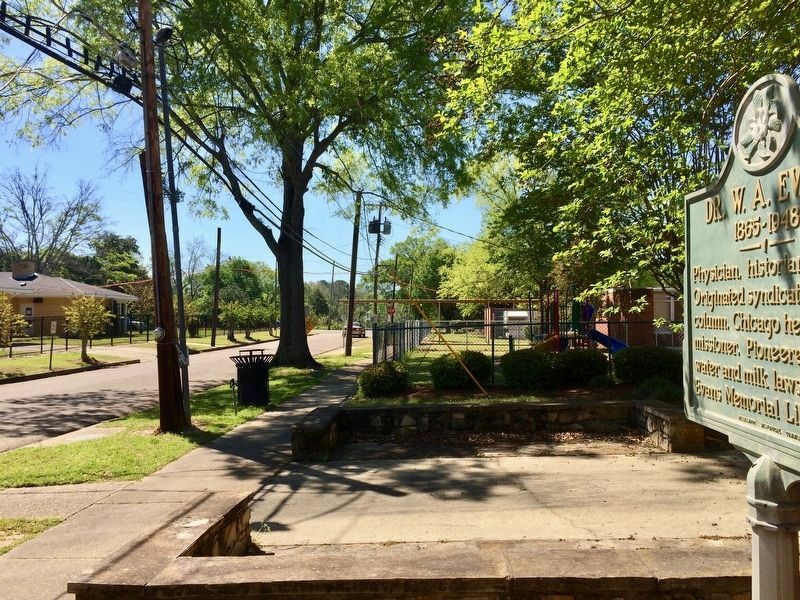 Marker is at or near this postal address: 105 Long Street, Aberdeen MS 39730, United States of America. Touch for directions. Reuben Davis (approx. 0.4 miles away); DeSoto Expedition (approx. half a mile away); Brigadier General John Gregg (approx. 1.2 miles away); Gulf Ordnance Plant (approx. 6.8 miles away). Touch for a list and map of all markers in Aberdeen. 3. View from marker south on Long Street. More. 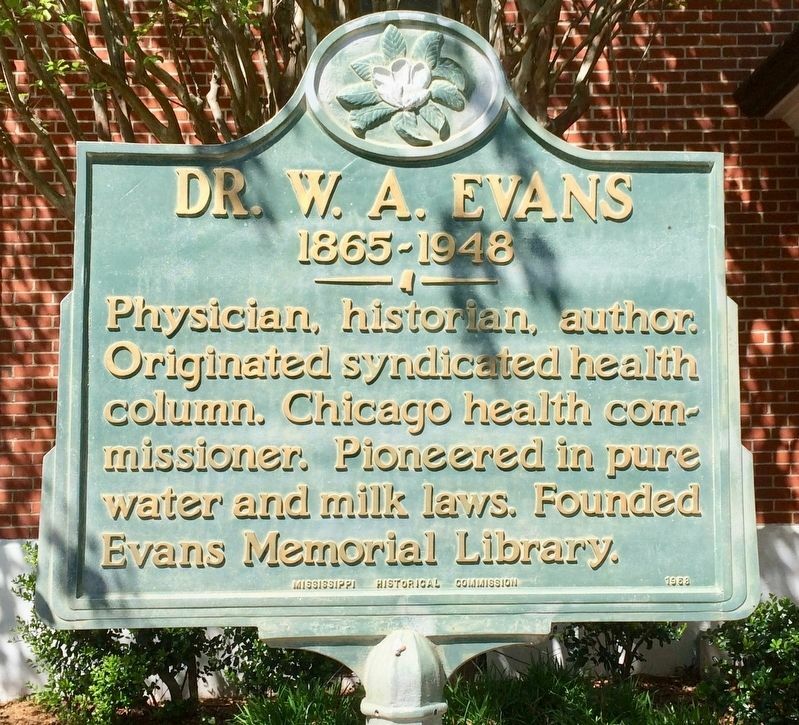 Search the internet for Dr. W. A. Evans. Credits. This page was last revised on April 10, 2017. This page originally submitted on April 10, 2017, by Mark Hilton of Montgomery, Alabama. This page has been viewed 97 times since then and 5 times this year. Photos: 1, 2, 3. submitted on April 10, 2017, by Mark Hilton of Montgomery, Alabama.